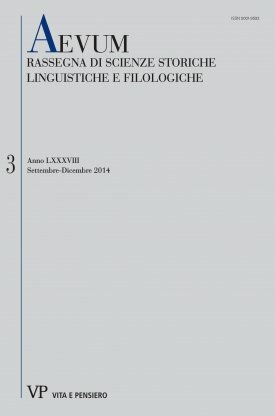 This article provides an in-depth and comprehensive analysis of Filippo Alberti’s Rime, published in 1602. Once fairly well-known, Alberti’s literary output has hitherto received little scholarly attention by today’s research. This work substantially extends previous knowledge on his collection of poems and reconstructs the author’s biography and bibliography. The analysis proceeds by identifying the main topics of the Rime (love, dedication, death, occasional and spiritual poems) and the author’s choice of form and meter with respect to contemporary tendencies. In addition, attention is given to lyrics intertextuality in the aim of determining Alberti’s main poetic models. As the article shows, his vibrant but balanced poetry was profoundly influenced by classical authors (Anacreon, Horace), Petrarch and, lastly, coeval poets, such as Giuliano Goselini and Torquato Tasso, that were both Alberti’s correspondents.